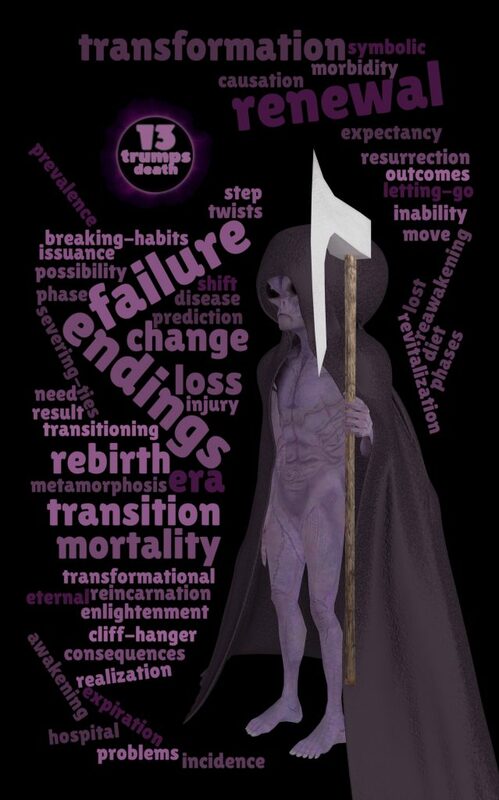 The 13th Trump Card in my Wordcloud Tarot Deck is Death. Also nice things like renewal and breaking-habits and possibilities and expectancy and awakenings… but mostly death and failure and endings. Even the most verbal of thinkers can see this at a glance without taxing their terrible memories with my amazing revolutionary wordcloud tarot deck.